A hundred years ago, H. C. G. Moule, the Anglican Bishop of Durham, said in his simple but elegant commendation of The Loveliness of Christ that it was ‘a small casket stored with many jewels’, and expressed the hope that it would have a wide circulation. These pages contain short extracts from the letters of the great seventeenth-century Scottish Christian, Samuel Rutherford. I count it a personal privilege, and the fulfilment of a long-held aspiration, to be able to echo Bishop Moule’s words, but now for the twenty-first century. Decades after the publication of this little book, a copy of it came into the possession of my wife’s family, and later became hers. She introduced me to it, and thus we both found ourselves caught up in the fulfilment of Moule’s aspirations for its circulation. We have often found ourselves echoing his sentiment that it contained ‘many jewels’. It has brought encouragement to us out of proportion to its size. Surprising though it may seem in a world of large books, of all those owned by our family this may be the one we have most often lent or quoted to friends. It is full of rich spiritual wisdom and insight culled from the experience of a man who knew both the sorrows of life and the joys of faith in great abundance. When such experience is married to a poetic and imaginative spirit, as it was in Samuel Rutherford, then, truly, spiritual jewels appear in abundance. The Letters of Samuel Rutherford are, happily, still available today1,2 and continue to be read. 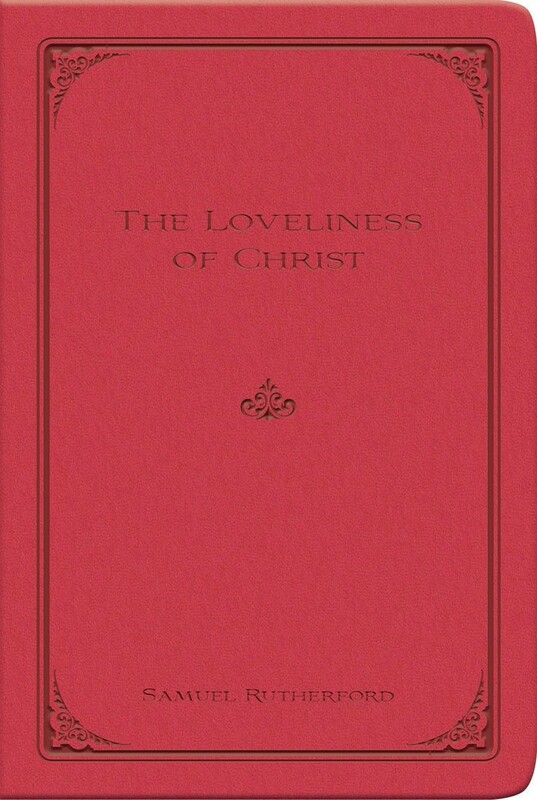 The Loveliness of Christ is not merely another edition of these. Here some of his most helpful thoughts are allowed to stand out in their unadorned wisdom and power. Indeed, I suspect that even those who have read Bonar’s great nineteenth-century collection will feel that this setting of brief quotations makes the words sparkle like diamonds on a dark cloth in a jeweller’s shop. This is simply one of several reasons why I have long wished that a contemporary publisher would give a new generation the privilege of experiencing the spiritual wealth found in these pages. Now that task has been undertaken by the Banner of Truth Trust in this very attractive edition3. This article forms the Foreword to The Loveliness of Christ: Extracts from the Letters of Samuel Rutherford.